German style classic display cabinet shown here with LED. Made from Ash and Olive Ash veneer. 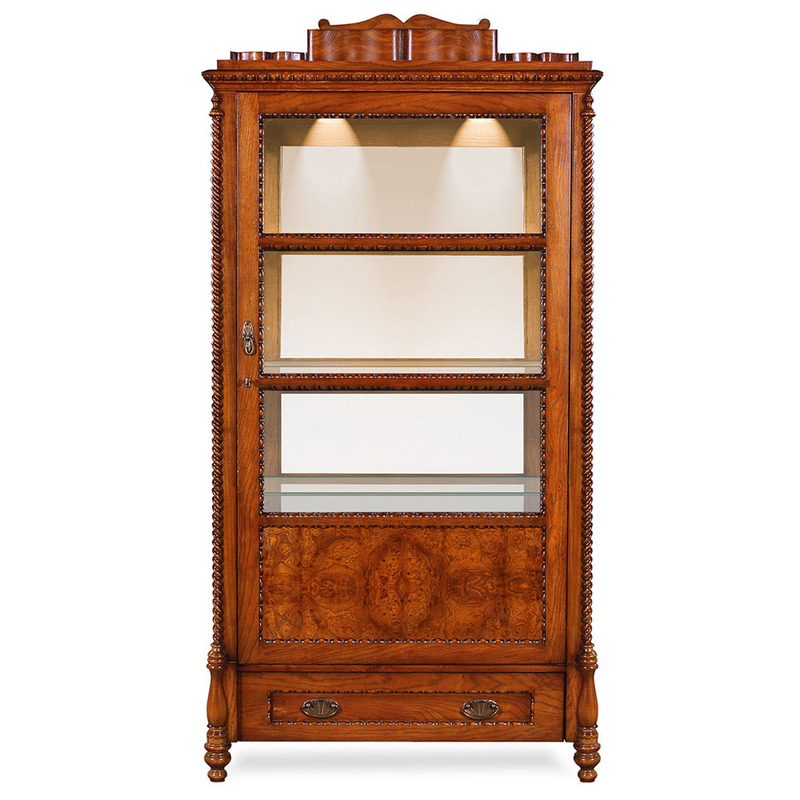 It includes 3 glass shelves, a drawer and features art deco style brass ware.